Sadly, a large percentage of people — most notably, the baby-boom generation (1946-1964) — have made some monumental retirement mistakes. If they had come to us earlier, seeking retirement advice, we could have helped them avoid many classic retirement blunders. Mistake 1. Failing to set aside enough money for retirement. Because life spans have increased, many people did not set aside enough money for their retirement years. 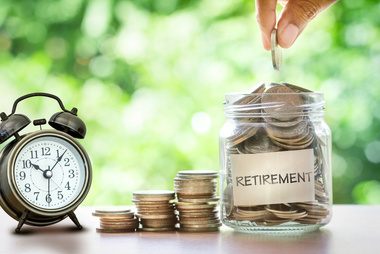 The Economic Policy Institute (EPI) reports the mean retirement savings of all working-age families — defined as those with wage earners between 32 and 61 years old — at $95,776. And according to a PWC survey, 37 percent of boomers have less than $50,000 for retirement. Rather than enjoy their golden years, boomers have little choice but to work as long as they can. Mistake 2. Taking Social Security too early. You’re entitled to claim Social Security as early as age 62, which is usually a mistake. A smarter move is waiting until you’re 70, which would increase your monthly payout by about 75 percent. Keep in mind that there are a lot of myths surrounding Social Security. Even if you wait until you’re 70, don’t expect to live comfortably on Social Security. It was never set up to provide enough money to live, but as an adjunct to other income, such as a pension. The reality is that more than 69 percent of Americans can’t afford to live comfortably on their monthly Social Security payments. Mistake 3. Saving too late. A faux pas we see often is not saving until late in your career, which can cost you sizable returns. Even if you can only put away a few dollars a paycheck in your 20s, the magic of compound interest will give you a nice payoff at retirement. Instead of attempting to save a lot of money in a short amount of time, we tell our clients that it makes more sense to let time and compound interest work for you. Mistake 4. Failing to diversify. Tying up too much of your net worth in one or two assets can lead to disaster. You can wind up being a victim of a stock market or real estate crash. This can be especially important as you age, and there’s less time to recover from a financial downturn. A proper mix of stocks, fixed income and, if relevant, home equity is essential. Mistake 5. Retiring too soon. We’ve discovered that many people retire as soon as they legally can. The mistake is miscalculating the number of years you’ll live after retiring. Approximately 67 percent of us make this miscalculation by underestimating our life expectancy by five years or more, according to the Society of Actuaries. This can wind up to be an expensive mistake when determining whether you have enough money to cover your cost of living. Mistake 6. Underestimating medical expenses. We call it the “It will never happen to me” syndrome, and it’s an all-too-human mistake. When we’re feeling great, we feel indestructible. It’s hard to imagine that someday we’ll encounter some type of serious health problem. A recent survey found that 90 percent of respondents said they had little idea what their future medical expenses might be or how to estimate them. A related mistake is overestimating Medicare benefits. While Medicare makes it easier to manage medical costs after age 65, it doesn’t cover all health-related costs.